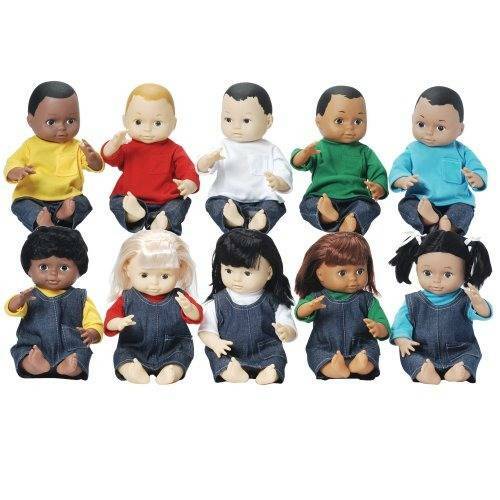 Dolls with varying skin-tones, eye colors, and hair colors. Girls' hair can be combed while the boy's hair is painted. Movable head, arms, and legs with safe, painted eyes and durable, washable clothing.